On Thursday, I got to do two things that I really, really enjoy: 1) eat a lot of Chi’lantro and 2) be a part of something creative. I am excited to announce that after only a few months in Austin, I already have a few go-tos. Chi’lantro is one of them. So when my friend Caroline invited me the opening of the brand new Chi’lantro location–hosted by The Vagabond Designers–I eagerly accepted. The Vagabond Designers is the brainchild of Kim Lewis, a Texas native known for designing numerous spaces across Austin (and the world), Chi’lantro’s first brick-and-mortar location on Lamar being one of them. Kim and her team’s most recent project involves building an Art Therapy Center in Cambodia for girls. 10% of the proceeds at Thursdays event went to building the center, which means that I got to stuff my face for a really good cause. The new Chi’lantro space is right next to the Savers at 5222 Burnet Road, but its stripmall roots are hardly apparent when you walk in. Kim and her team filled the space with light wood paneling, jade plants, custom wooden tables, bright orange accents and–the best part–an art installation made up of attendee-generated word pictures. My contribution? I truly do have trouble refusing some late night cinnamon toast crunch. Each Chi’lantro diner was given a card with an incomplete phrase. 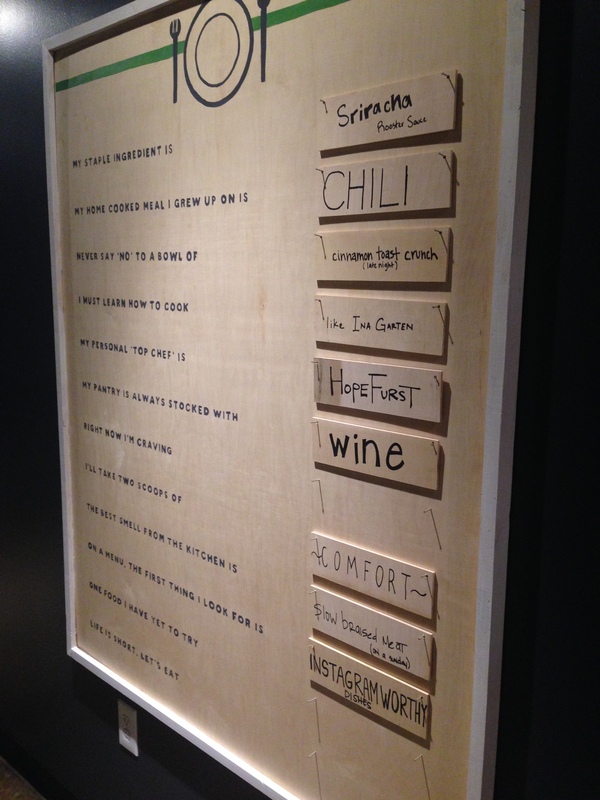 With four different word pictures covering four different topics–food, music, art, travel and Austin–the responses ranged from cutesy to downright creative. Whoever said “I like to globetrot with my little black dress” should be my friend. And the drinks! 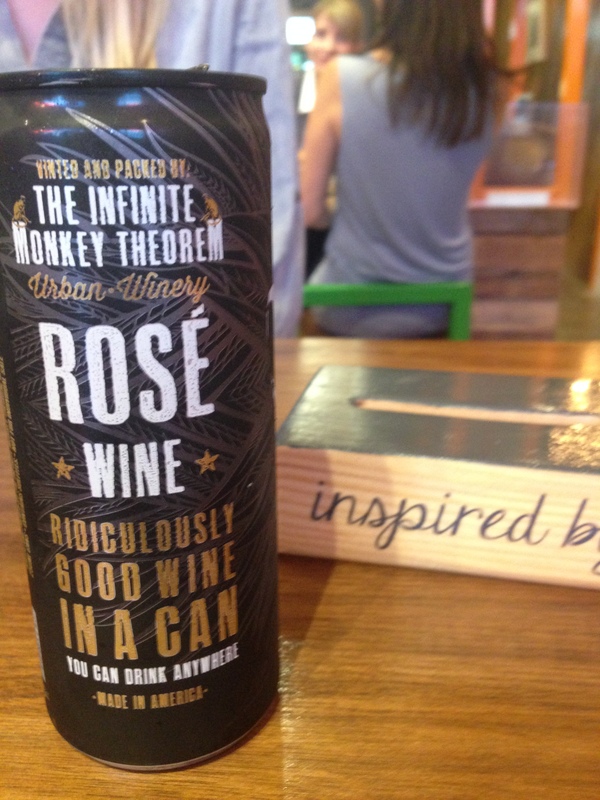 After sipping on a smoky, delicious Live Oak White Smoke, I decided to join my fellow diners and try a little wine in a can from Colorado-based urban winery Infinite Monkey Theorem. In the coming months, the husband and wife duo are opening another winery in a tiny house on South Congress designed by–you guessed it–Kim Lewis. The can idea is brilliant. I mean, wine at the pool? That’s the dream. And while I’m not exactly a rosé fan, my first few sips from this cute little can intrigued me enough to try it the next time I see it. 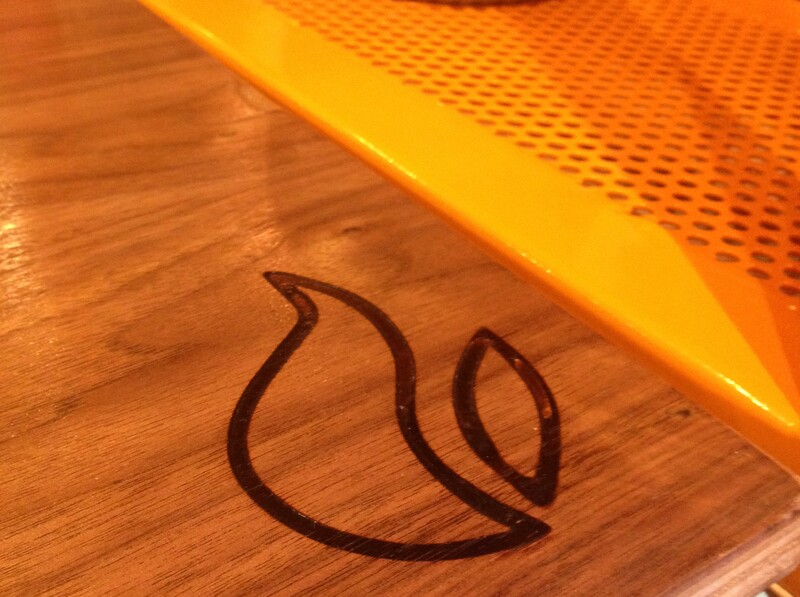 Fingers crossed they’ve got a pinot noir on the way. 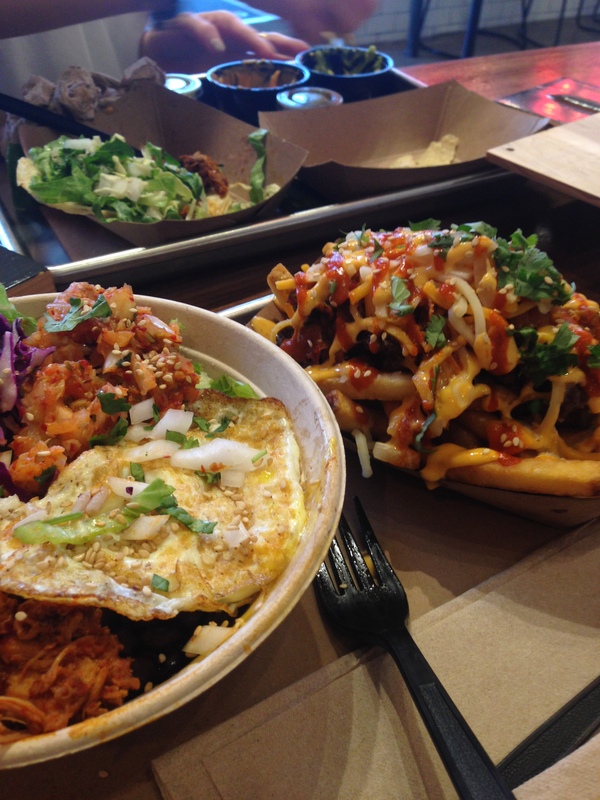 My belly full of fries, rice and all of the good things Chi’lantro puts on top of them, I left Thursday feeling more like an Austinite than I did when I arrived.